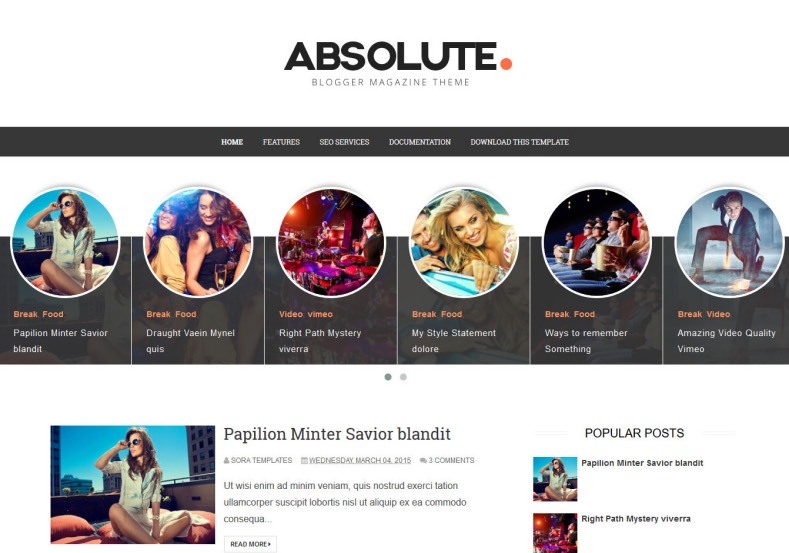 Absolute Blogger Template is a clean, sophisticated & beautiful image rich blog theme designed to make sharing your stories a pleasure. Its strength is its simplicity and flexibility, a modern blogger personal blog template that presents your work and content with absolute clarity and impact. The perfect blogging theme for food, travel, photography, family, lifestyle, fashion, design and much more.